Our Catholic Cemeteries provide an environment of comfort in times of sorrow and are meant to continually remind us that Jesus Christ promised one day we all would be together in the Eternal Life of Resurrection. 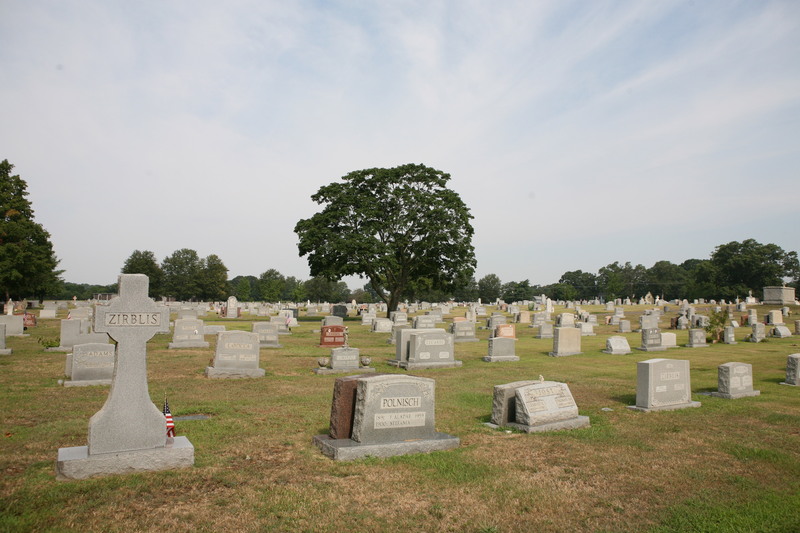 Please remember our cemeteries are consecrated grounds where we gather to pray for our departed loved ones. Help us to keep them sacred by following our policies that were prepared with the approval of the Diocesan Cemetery Committee. The regulations are designed to promote safety, improve the general appearance and facilitate maintenance of our cemeteries and mausoleums. We have tried to establish policies that are fair and safe. 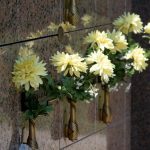 Your patience, understanding and cooperation in complying with these guidelines will preserve the safety, beauty and sacredness of our Catholic Cemeteries and Mausoleums. 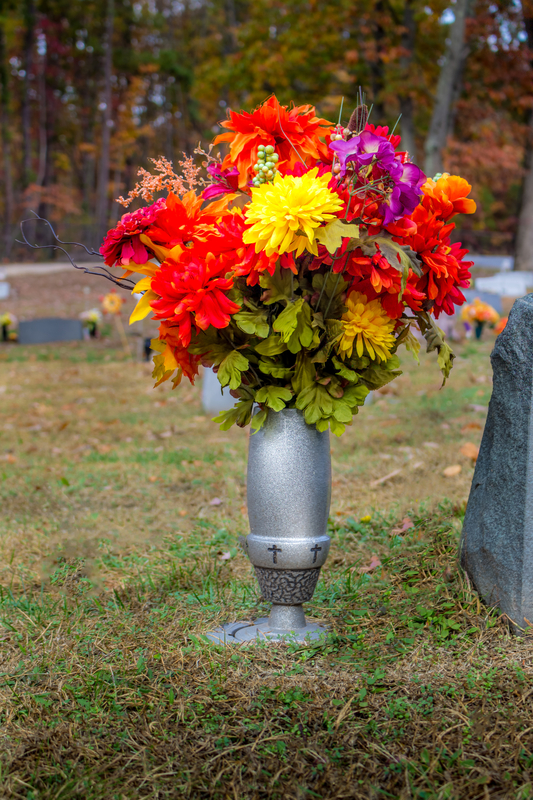 In-ground graves — Natural cut flowers and artificial flowers are permitted in cemetery approved ground level or pin type vases all during the year. Potted plants are permitted only on Easter, Mother’s Day, Father’s Day, and Memorial Day. The potted plants may be placed on the grave one week prior to the designated day and will be allowed to remain one week after the holiday. 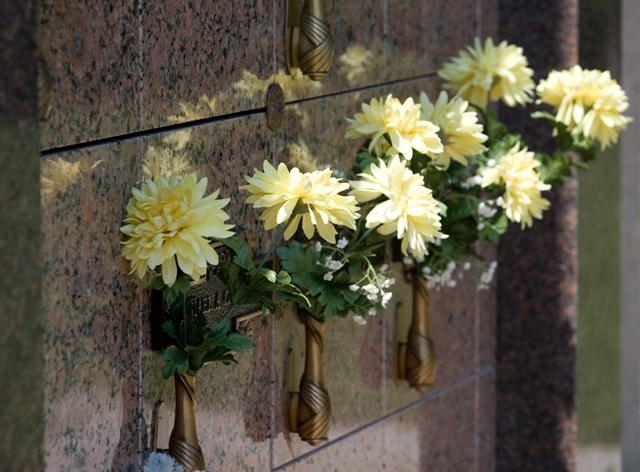 Mausoleum & Niches – Artificial flowers are permitted in cemetery provided and installed vases all during the year. No glass or ceramic items, statues, novelties and ornaments are permitted in the vases and will be removed. 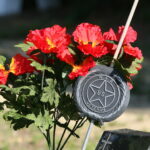 Cemetery personnel will remove the flowers when they become unsightly. Christmas: Evergreen wreaths, easels on stands, blankets and logs may be placed on the grave from December 15th to January 15th. No live or artificial Christmas trees or lawn ornaments are permitted. Easter: Wreaths on stands or easels are permitted during Easter. They will be removed when they become unsightly. Memorial Day, Flag Day, Independence Day and Veteran’s Day: Flags and flag holders are permitted. Cemetery staff may remove them one week after the holiday. 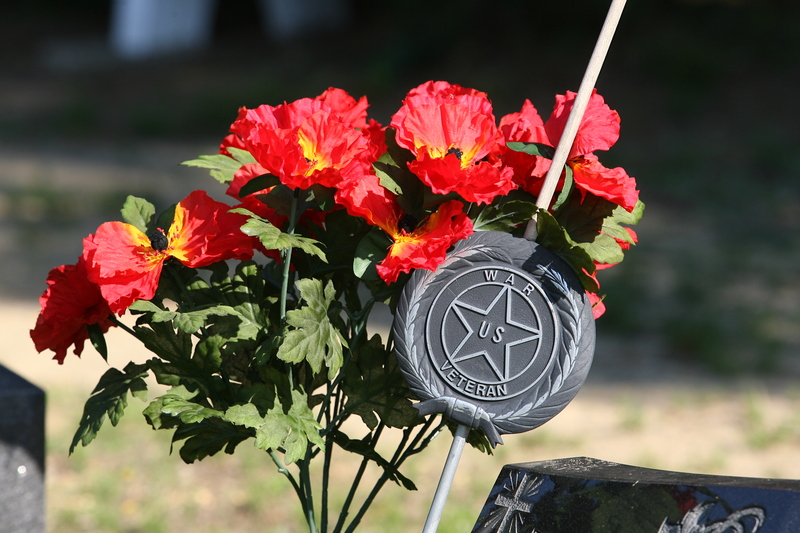 Veterans Day: The VA furnishes a bronze medallion that can be affixed to an existing privately purchased headstone, marker or crypt front for veterans. Applications must be processed through the cemetery office. 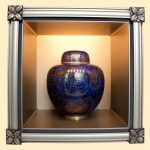 Because of the holiness and Catholic identity of the mausoleum, urns selected for placement in our glass niches must be of a respectful nature. 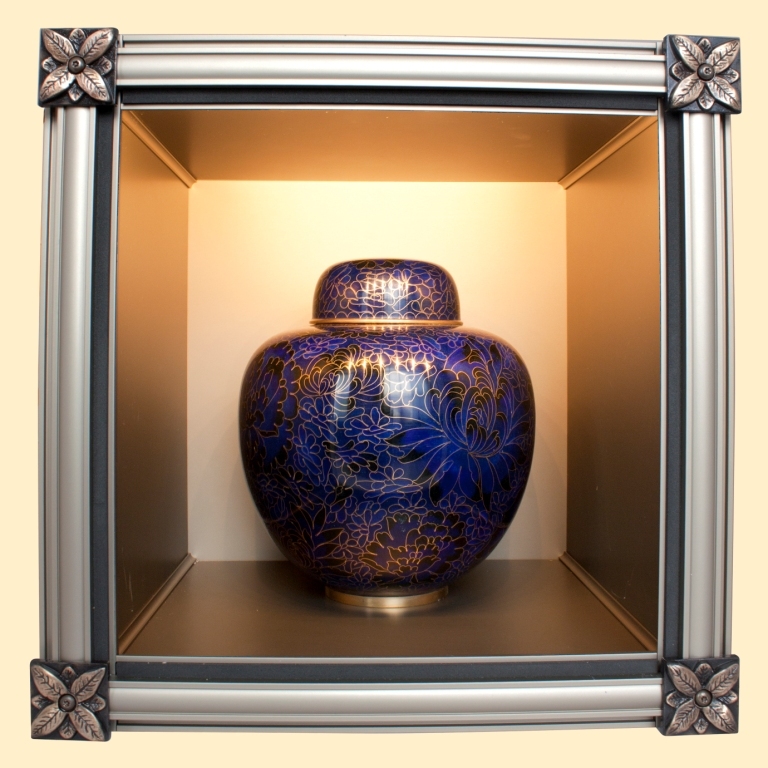 Size requirements must be enforced so that the urn can properly fit into the appropriate niche space. 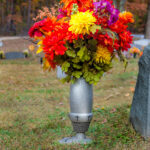 Prior to purchasing your urn, please check with your cemetery superintendent on size requirements. The placement of personal rosary beads are encouraged with the urn. No additional objects with the exception of porcelain portraits on easels, VA medallions and nameplates provided through cemetery office are permitted. Vigil lights and solar lights are prohibited as are miscellaneous containers such as jars, cans, etc. Foreign materials such as crushed stone, wood chips, mulch and shells are prohibited. Hanging items such as rosary beads and wind chimes are not permitted. The taping of cards, letters, pictures and other items is not allowed. No planting or digging is permitted. Anchors, wires, balloons, temporary markers, statues, photos and novelties are prohibited and will be removed. Hoses and sprinklers are not permitted. Water, where provided, is for watering flowers. The Federal Occupational Health and Safety Act is very specific regarding the adequate protection of employees and visitors. For this reason, we must strictly enforce these guidelines in our cemeteries. We appreciate your cooperation. For our complete list of cemetery and mausoleum guidelines, please select the version best suited for you below. As we strive to always provide the best service to our families as they bring the remains of their loved ones to our sacred grounds for final committal, please find an outline of our policies and procedures below.